Both Polk State Chain of Lakes Collegiate and Polk State Lakeland Collegiate high schools have surpassed the county, state and nation in terms of student performance on the SAT. “The curriculum at both the high schools is intense and demanding, with students still in high school taking on college-level work. 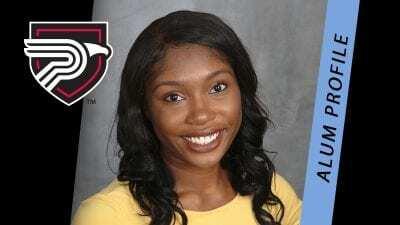 It’s challenging, but it prepares the students to succeed — not only on the SAT, as this data show, but in their college careers and beyond,” said Polk State Lakeland Collegiate Director Sallie Brisbane. In 2011-12, Polk State Chain of Lakes Collegiate students posted average scores of 528, 514 and 504 in the reading, math and writing portions respectively of the SAT (Scholastic Aptitude Test). During the same time period, students at Polk State Lakeland Collegiate posted average scores of 531, 523 and 514. The county’s averages were 487 in reading, 481 in math and 468 in writing. The state’s averages were 492 in reading and math and 476 in writing; the nation’s were 496 in reading, 514 in math and 488 in writing. Each section of the SAT has a maximum score of 800. 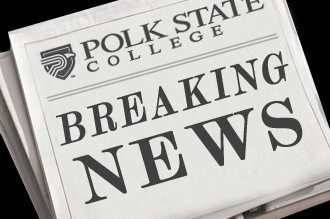 Additionally, looking at composite scores, Polk State Lakeland Collegiate was the second-highest performing school in the county; Polk State Chain of Lakes was the fifth. Students take the SAT on a voluntary basis. The test is commonly used in the college admissions process. 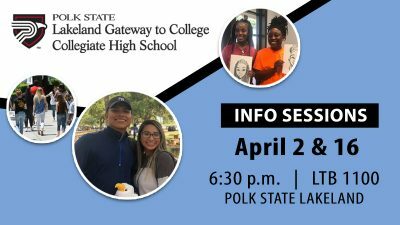 Polk State Chain of Lakes Collegiate in Winter Haven and Polk State Lakeland Collegiate are public, charter schools. The schools serve juniors and seniors, allowing them to fulfill requirements for their high school diplomas while also earning college credit — all at no cost. In many cases, students graduate with both their diplomas and associate’s degrees.